The $2.7 billion rejuvenation plan will see another 600 homes built in its West Grove estate. The buildings will range in height from five-storeys to 31-storeys, with construction expected to start at the end of next year. 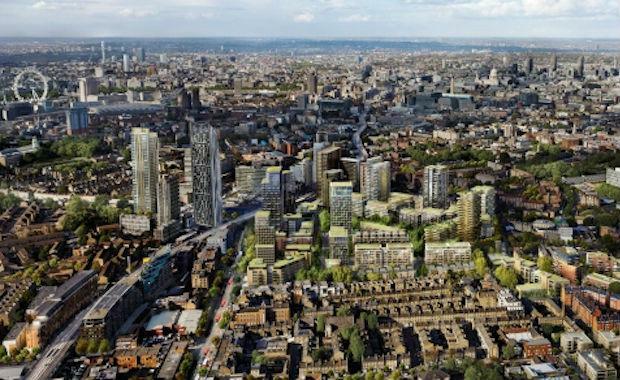 According to The Australian, this stage of the development will be built on a plot once occupied by the Heygate Estate which has since been demolished. Lend Lease is regenerating over 28 acres across three sites at the heart of Elephant & Castle, in what is the last major regeneration opportunity in zone 1 London. It includes almost 3,000 new homes, plus office, retail, community, leisure and restaurant space. The developments will also re-establish a new public realm of squares and streets, designed for safety and to accommodate pedestrians and green transport options. The first stage of Elephant & Castle, One The Elephant is still under construction. One The Elephant comprises a 37-storey residential tower with 284 apartments. A separate stage, Trafalgar Place will comprise 235 homes. told The Australian, "we can already see the changes taking place in which will become one of the most sustainable places to live in central London, and the last major urban regeneration project in zone one of the underground".